We don’t have a lot of wall space at Old Salt Farm. Lots of windows and an open floor plan contribute to it, plus we have several barn doors throughout the house eat up some of the wall space we do have. I love the look of foyer tables in the entry area, but because of the barn doors (which I adore and wouldn’t change), I don’t have that option. There is a small open hallway around one side of our stairs that leads to our family room, and you can see it from the foyer, so I figured that would be the next best place to put a bench or table. We ended up making a bench that matches our kitchen benches (which I will be posting about soon! ), and I adore it. It’s perfect for pillows and a lantern, and any seasonal decorations. It makes such a difference from the big empty wall that was there before! 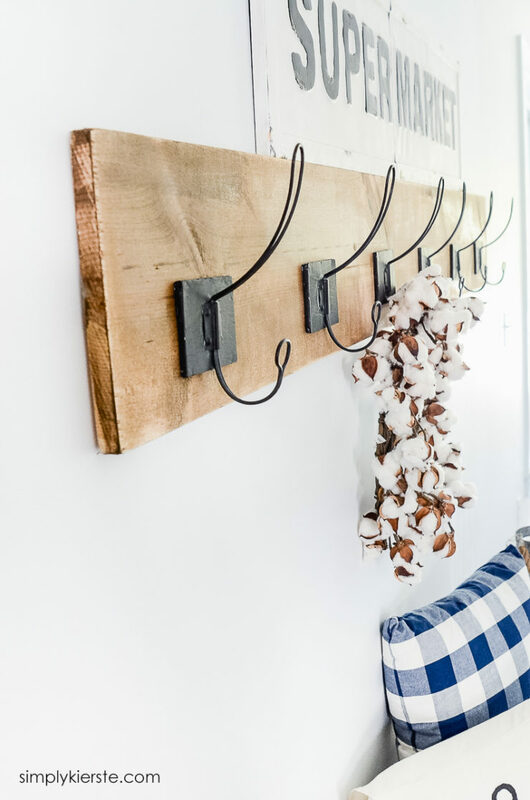 Because the closet in our entry is used as my cleaning closet, I thought DIY wall hooks would be perfect for above the bench–not only are they super cute and add a ton of vintage charm, they’ll also be practical for guests as well. I LOVE how they turned out, and best of all, it’s SO SO easy! You can have it done in an hour or less! *Affiliate links are included below. If you click on a link and make a purchase, I’ll receive a small commission at no extra cost to you. SO cute, right? I found these hooks at Hobby Lobby that I LOVE LOVE LOVE, and ordered them online when they were 50% off, so they were only $3 each. They’re the same hooks I used in my mudroom on the lockers we built, and I adore them. Amazon also has a collection of hooks if you like something a little different. 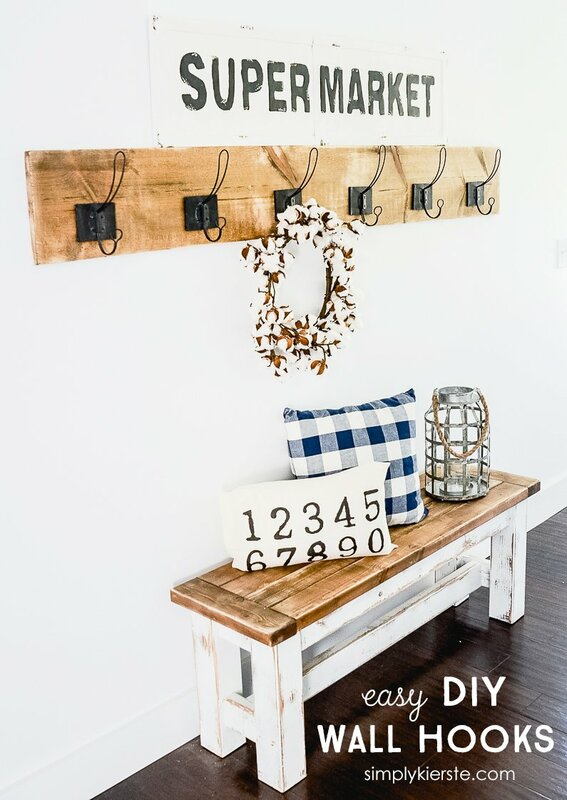 I think finding the right hooks makes all the difference on this project, and will really give you the look that you want. I think knobs would look super cute too–Hobby Lobby has lots of cute ones, and I’ve seen some on Amazon as well. *Cut your board to the desired length. When deciding on a length, consider the space it will be hanging in, as well as how big the hooks are, how many hooks you have, and how far apart you want them. I bought a 1×8 in the 6 foot length (it comes in longer lengths as well), and I ended up using the whole thing! Once I laid out my hooks and looked at it against the wall, I realized that I needed it to be that long. I’m glad I didn’t cut it any sooner. *Stain your board with a lint-free cloth and let dry completely. Once it’s dry, sand the front and edges as desired. I like mine to look a little weathered, so I went over it until it looked the way I wanted it too. *Add your hooks! My hooks didn’t come with any hardware, and fortunately we had some on hand to use, but otherwise I would have had to wait until I went to the store. It’s a good idea to have them ahead of time, especially if you’re impatient like me! And that’s it! I told you it was so easy! 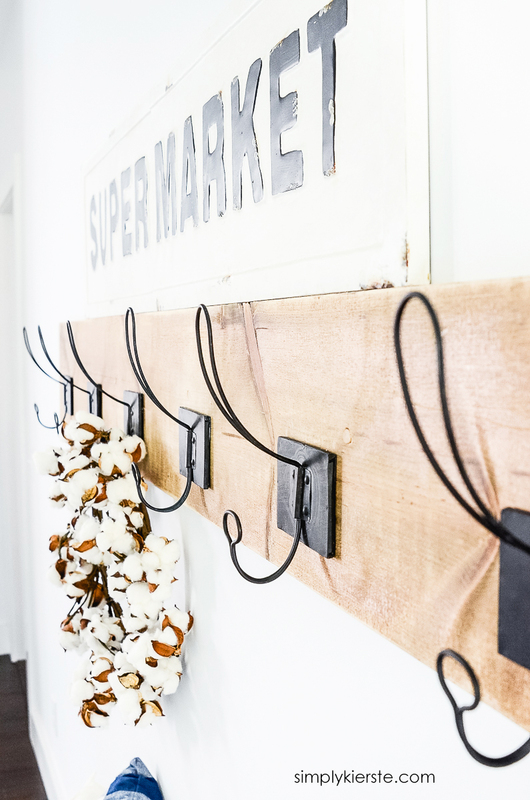 I seriously love my wall hooks! Love what you did – looks great and better than anything I’ve seen online. One question – how did you attach the board to the wall? It looks totally flush against the wall. Thanks, Suzanne! We screwed it into the studs, then filled the holes with wood plugs. It’s secure enough to be able to hang things on it! Where did you find those hooks? They are from Hobby Lobby!! Where did you get the supermarket sign??? 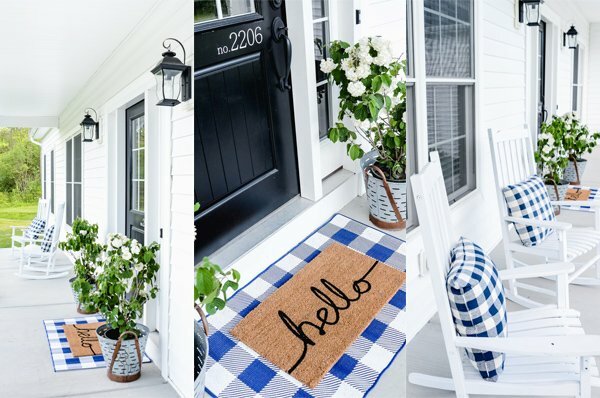 It’s from decorsteals.com! 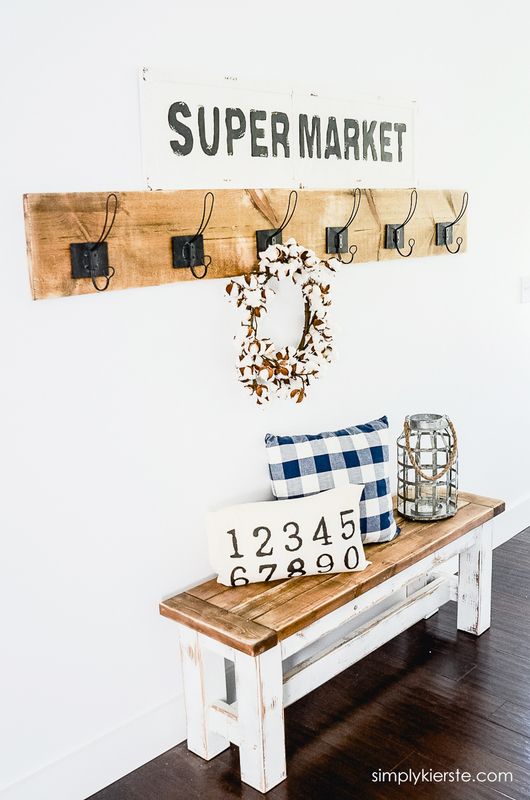 There are other online boutiques that carry it…antiquefarmhouse.com, paintedfox.com, bitsofvintage.com…those are good ones to try!